Have you heard about a waterproof smartphone? Now you would be thinking that what type of question is this because everyone have heard about it right? But have you heard about a smartphone which is soap–proof and which you can wash with a soap? Yes, you heard it right, Japanese electronics manufacturer Kyocera is taking waterproof smartphones to the next level by announcing a new smartphone called Digno Rafre that can be washed and is soap-proof. Now you can fully wash your smartphone with soaps if it gets any kind of dust. According to the company the smartphone is made with extra-hard waterproof coating “handsoap-washable water resistance” which also protects the smartphone from warm water if it somehow gets into it alongside the soap. 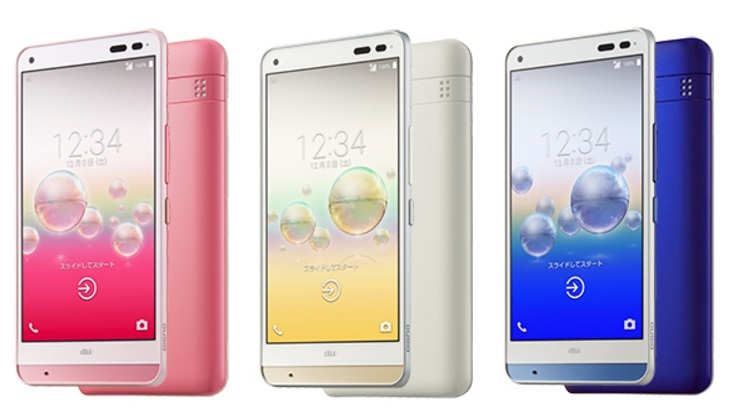 Kyocera’s Digno Rafre smartphone comes in three bubble bath-like colors that include coral pink, cashmere white and marine navy. The Digno Rafre smartphone features a 5-inch 720p display, with 2 GB of RAM and 16 GB of storage with microSD support for up to 128 GB of storage. The device runs Android 5.1, features a 13-megapixel rear camera, and has a 3,000 mAh battery. The soap-proof smartphone also comes with a 1seg (for digital mobile TV) TV tuner which allows users to watch a movie while relaxing in the tub. The Digno Rafre also has a “scratch-healing” finish to avoid damage from accidental bumps and drops and its body is said to “recover naturally,” The display of the smartphone is made with Asahi Glass’ Dragontrail X flexible glass to prevent the screen from cracking if dropped. Kyocera’s washable smartphone will be launch in Japan Dec.11 for 57,240 yen, about $465 and 31,000 INR.